For some reason I dont think there is any team interested in the 2nd pick, and Mayhew is just bluffing to see if someone bites, which i dont think anyone will. So Suh, McCoy or Okung it is. Once a rookie salary cap is set-up, it will be interesting to see how it all works out. Wonder if they'll be a lot more trades to the top.? I think once a rookie cap sets in, you'll see more trades because teams will then be more inclined to target individual players at positions of need, rather than just taking the BPA. Teams at the top of the draft will have much more interest from teams lower in the round, because the teams picking later are more likely to be only one or two players away from making a serious run into the playoffs. Sorry I don't see a trade anywhere for the Lions. I do believe Bradford will go #1 but I don't see Clausen going any higher than #6 to the seahawks. Even then I think it's stretch. If the Browns sit at #7 I'm pretty sure they can get Clausen. I don't see the Redskins taking a QB because I don't think they are done with Campbell yet. Now if the Raiders, Bills or Jags really want to draft Clausen and don't mind dishing out the extra money and picks than there might be a slim chance of trading out from #2 but who do take at 8? 9? or 10? Morgan? Haden? Williams? Wrong. Draft picks carry even more value than current NFL players in MOST cases. Look at Anquan Boldin. He was a second round pick. He was a rookie Pro Bowl player, and has played on a high level for his entire career in the league. He was traded for a 3rd and 4th round pick, with the Cards giving a 5th rounder back in change. The fact that the Cards only got those two picks, and had to give one in return shows that many times an established player IS NOT worth what you think in terms of draft picks. Sometimes teams definitely overpay (Roy Williams, Jay Cutler), but most times that is not what happens. 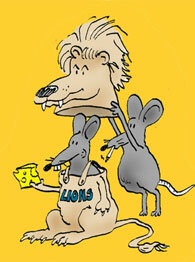 Let's see....the Lions made three trades this season so far. They gave up a fifth rounder, a sixth rounder and a future seventh rounder for two starters and a backup QB, and also got a seventh rounder in return. So, let's call the seventh rounders a wash. They got three players for a fifth and sixth rounder, all three established players in the NFL. Would you trade a 5th and 6th rounder for a 3rd round pick? You made a statement, did you not? I proved that statement was false, did I not? Man up and accept it. And what's the odds of every one of those 7 picks panning out and remaining on the team this year, let alone become an integral part of the winning formula for this team? And you are talking about a player with a potential to be a superstar. He also has the potential to go the way of Mike Williams. And it would be less of a hardship on the team if that happened to a player getting picked and paid at the seventh overall spot than the second overall spot. Also, getting good players around that potential superstar increases the likelihood of that player meeting said potential. You speak as if Suh is guaranteed to be great in the NFL. There is no such thing. I know exactly what they did. They came right out and said their intention was to position themselves where the draft held the best value. New England doesn't always move back. Remember that they did move up to get Jerod Mayo back in 2008. If they target a player, they move to get him. If they feel there's value elsewhere, they'll stockpile in those rounds. And they really like to get future picks. And on that note, understand that if for some reason a team offered the Lions a future first round to move out of the number two spot, I am completely for it....as long as it's not too far of a move back. Now read what is in bold that you said. The Pats stockpile picks which allows them to get the player they want. It would also allow them the flexibility of moving up and down in the "value rounds" and increases their chances of getting future picks from other teams. Would that be a bad thing for the Lions to have, just to move down five spots? What?! I know what round those players were taken in. I am merely stating that the Pats will move back to where they feel the draft holds the best value. Last year, it was round two to mid round three. Maybe it's just me.....but I have no idea what you are trying to say in that paragraph. You are assuming all Pro Bowl level players come from the first round. It is true that most do, but certainly not all. And I never said the Lions should trade completely out of the first round. At this point, Brian Price has an equal shot of becoming a Pro Bowler as Ndamukong Suh. Calvin Johnson is considered an elite talent at wide receiver. Why wasn't he a Pro Bowler? Not enough quality starters around him, right? The Lions don't have enough quality starters. Those quality starters may come out of the first round, but that's not a guarantee. The more picks we have in the opening three rounds, the more likely we are to find those starters at the positions we need them to be in. I don't expect them to do so. I just stated that the trade you guys came up with a gap of late 1st early 2nd round pick in value, negative to the Lions. Moving down five spots in the first round and getting three 3rd round picks in return is a pretty good deal to me, particularly for a team as hard up on getting talent as the Lions are. Mayhew isn't going to trade the value of another starter away just to move back. Specially if he Like Suh, McCoy, or Okung. They spew the rederict of the very word value every time they open their mouth to a degree I have never heard from another team. Its not going to happen. Now maybe the Browns throw in a player, this years second round pick, or next years first. Then I could see the trade happening. First, Cleveland has already said they will not part with their second round pick. That is the pick they will look at using for their QB selection in this draft. The ONLY way the Browns will even inquire about the Lions pick is if the Rams take Suh instead of Bradford. Now, with Suh off the board and the Browns offering up three 3rd round picks, you would turn them down? Second, while it's true that the Lions may like Suh, McCoy and Okung, that is not to say that they wouldn't like the idea of moving down and getting picks in the third round with which to continue to build a foundation on for this roster. Personally, I don't think Dan Williams is all that much "worse" than Suh or McCoy. He actually fits the type of player at DT that Gunner and Schwartz want moreso than Suh or McCoy. And I also don't think that Okung is that head and shoulders a better player than Bulaga or Trent Williams. I'm sure the teams that picked second through seventh last year would like to get a do over on their picks. There's no guarantee at the top of the draft. First, who is AP? Second, the Browns aren't going to trade up for Suh, so let's get that cleared up. We've been talking about the idea of the Browns trading up for Bradford. Third, it's nice how you conveniently select two guys taken in the second round that paid immediate dividends, but neglected to look at the other players taken in that same round that didn't. Then you go ahead and make the comparison selecting a third round player that didn't meet expectations. Why didn't you pick DeAndre Levy, our new starting MLB, who basically outplayed the free agent Larry Foote? Remember, it was you who said it's better to fill holes with an "established" free agent than getting a third round pick. How soon we forget. Last edited by m2karateman on March 27th, 2010, 8:23 pm, edited 1 time in total. The Quote war going on is getting all screwed up I don't which are your quote or mine. You can go on about the value of draft picks. The greatness of the 3rd round. The deepness of the draft. The draft is a crap shoot, you don't know who you will get and have even less of an idea on how they will actually play. Before we go any farther just do me a favor, tell me how long it takes going back before you find a third rounder that went to the PB. Its actually quite the oddity. Third round picks and later are not draft because they think they can play. The most they are used for is development and youth infusion. With starters here and there thrown in and rarely on established teams. I can list tons of picks that turned out good to great in every round down to the 7th. Even some UDFA's. But you don't give up the best players available, at a value loss, to stack up in attempts to find a needle in a haystack. And no known quantities of a certain skill level are more valuable then unknown quantities of an unknown player you will eventually pick up in the draft of equivalent skill level. Bad picks happen and I can see not wanting to keep all the Value eggs in one basket. I am not even questioning that we should look back. I am just matter of factly stating that Mayhew is not going to accept a deal at a value loss and specially not one that big. I agree with why they are not. But it doesn't matter they won't accept this deal and neither would 25-30 other teams. Suh isn't going to make the team great on his own, but to fill depth you don't destroy draft and that is what all the talent evaluators would say that the Lions would be doing if they made that trade. And please do a little more research into the NE trades and draft picks. NE didn't move up for Mayo. They move back and even gave the saints a 5th round pick when the saints gave them the third to make value equal out. The one rare trade that didn't value out had very peculiar reasoning behind it. They just don't happen, and the Lions shouldn't be a pioneer nor will they be in breaking this chart (bending it is one thing). AP is Allen Park AKA FO AKA Front Office AKA Lions Brass. M2K, a couple of things here. First, NE traded back in 2008 to take Mayo. They originally had the 7th pick from SF, so they didn't trade up to select him. Second, I believe AP stands for Allen Park, but I could be wrong. As for the current discussion as a whole, some teams adhere to the trade value chart (except for the very top picks which are out of whack), while others don't. It all depends upon perceived value and what each team is attempting to accomplish. The Browns are a poor example from last year since I believe they were desperate to trade down. I questioned their first trade from #5 to #17, but their next two moves (only getting a 6th to move down two spots twice) showed that they were willing to take anything. I doubt many (or any) other teams would have made those trades. Conversely, if a team is absolutely in love with a player, they're more likely to give up even more to move up and get him. As with most things, it all depends upon the situation at the time. Right you are.....for some reason I was thinking they had the 12th pick that year originally. And that was basically my point Sly. The trade chart was created prior to the rookie wages starting to get completely out of hand. The depth of the draft, where the true value of the draft lies in comparison with the deals made (typically) in those pick ranges, and the needs of the teams involved are what drives the "value" behind any given deal. To say that all trades are going to be dictated by the exact values shown on that chart is ludicrous. That has been my contention all along. It is merely a rough guideline. Tell me Sly, if the Browns came calling with their three third round picks to swap spots in the first round, without Suh on the board, what would you do? Also, before discounting a possible move down to #7 for 3 3rd's... it would also be possible to make to trades back up to round 2 with the 4 3rd rounders we'd hold. That's a later first rounder and a few third rounders for an extra 2 picks in the second. So how would your draft board look like with #7, #34, 2 more 2nd round picks? The later rounds might look slim, but that's the probability of 3 starters (or higher percentage of getting starters) by moving back 5 spots. But due to the deep draft this year, just by those 5 spots, you have a chance at 5 starters in the first 3 rounds. On this team, that's a drastic talent infusion over last season. We have no idea on what's going to happen, but anything is going to be an improvement over last season. The only question is how much. Demand next years first as well. Or a player. Like maybe Big Baby. All I am saying is that claiming that the chart has been invalidated or retired due to rookie costs is just your hope. Because I haven't seen one sign that that it has actually happened. The Lions are not going to be the team that stops using it first as well, specially with two long time personal people in charge of the draft in Schwartz and Mayhew. Both are math and pattern men as well which is again what that chart is designed around. If the Browns can't give them the value they need, then offer it to the Redskins who would have to take less effort. Or the Seahawks whom have 2 1st picks. If not McCoy, Okung, Williams, Berry, whomever their BPA is there wouldn't be considered a reach and could be drafted there at that pick. I'd trade, but attempt to get more first. With that said, I just thought of something that makes perfect sense to me, but might not to others. What if the trade value chart (other than the top picks because of contract demands) was intended for 2-1 swaps only? Teams value their draft pciks, so giving up multiple picks usually isn't an option. However, it could tell you what they would be willing to give up in a 2 for 1 swap. For instance, dropping back 5-10 spots in the 2nd, usually nets you an extra 4th. Dropping beyond that should net you an extra 3rd, and so forth. In that context, it makes sense. In the end, it's just a guideline that some teams follow while others don't. It has never been the END ALL BE ALL of draft trades and never will. I think it's in the Lions best interest to trade down I don't see a player worthy of #2 money in this draft. Suh and McCoy might turn out to be pretty good but neither look like $65 million dollar player to me. What Lions really need is DE who can get after the QB but Derrick Morgan doesn't rate high enough to go #2. So trading down really makes the most sense. I just don't believe they will have that chance. Well, the Browns-Eagles trade didn't take too long to finalize after all. The Eagles officially announced they have traded cornerback Sheldon Brown and linebacker Chris Gocong to the Browns for linebacker Alex Hall, a fourth-round pick (No. 105), and a fifth-round pick (No.137) in the 2010 draft. The Browns had 12 picks in this draft, so the move acquires two possible starters at a reasonable cost. This isn't like Phil Savage mortgaging the team's future for early picks. It's the Browns getting some capable veterans to upgrade their talent to tide them over while the team reloads. It's expected that Cleveland will re-negotiate Brown's contract. It's unclear where Gocong will play in Cleveland's 3-4 defense, but he's not great in coverage so providing depth at inside linebacker makes sense. He wasn't a long-term solution as a starter in Philadelphia. Hall has flashed some pass rush ability, and will likely compete at the strong-side linebacker spot for Philadelphia. Ultimately, we think the Browns got a solid starting cornerback for a fair price. But it's not a game-changing move for either team. Why? First off, the ONLY way I would have foreseen a deal happening between Detroit and Cleveland is if the Rams don't take Bradford. I think the Rams do take Bradford. Secondly, even if the Rams didn't take Bradford, there would have been more than a good chance that Cleveland would have remained in place unless they really had the hots for Sam, which I really don't think they do. However, if Holmgren DID have the hots for Bradford, and the Rams did pass over him, then in all likelihood they'd think nothing of passing on a couple third rounders to us to make the deal. They still have their second, three thirds, four fifths and a sixth rounder in their arsenal. And let's not forget, there's always future picks.